The allure of natural granite is that each piece is a unique work of art produced by nature and will add texture and beauty to your bath that can be enjoyed for years to come. Transform your bathroom with a beautiful granite vanity top with attached undermount porcelain sink. Obtain the beauty and durability of natural granite without having to hire a professional. This granite top is easy to install and will add a rich look to your bathroom at a fraction of the cost of other stone products. 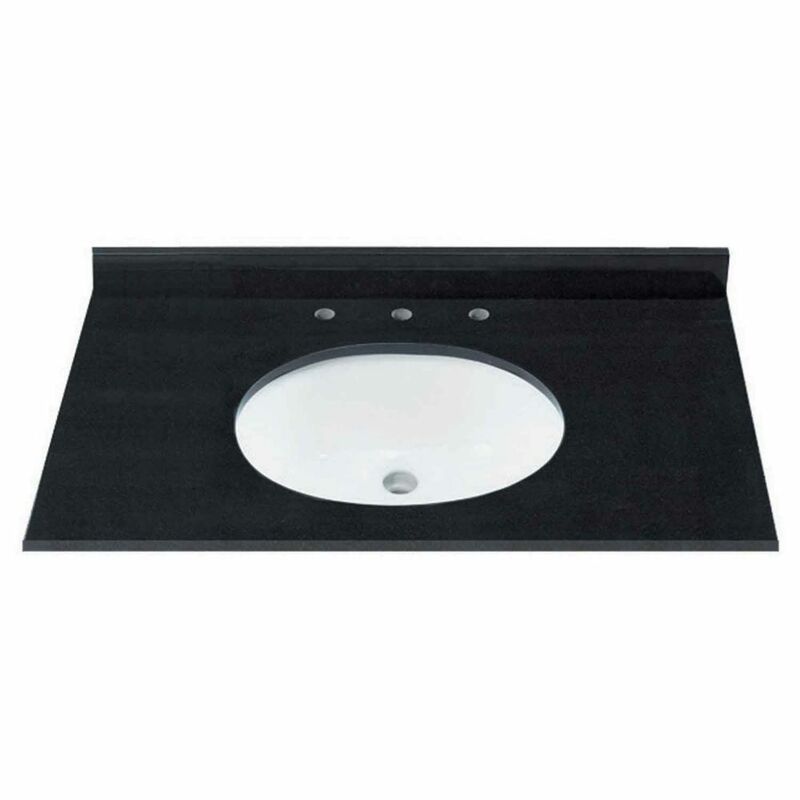 Transform your bathroom with a beautiful granite vanity top with attached undermount trough bowl. Obtain the beauty and durability of natural granite without having to hire a professional. This granite top is easy to install and will add a rich look to your bathroom at a fraction of the cost of other stone products. 37-Inch W Natural Granite Vanity Top in Jet Black The allure of natural granite is that each piece is a unique work of art produced by nature and will add texture and beauty to your bath that can be enjoyed for years to come.